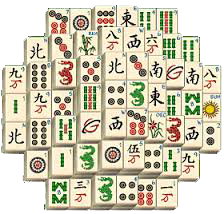 Mah Jong was invented by the Chinese hundreds of years ago, and has been played throughout China down the centuries. The Western game, which we play, varies from the old Chinese game but the principles are the same. It is played with 144 pieces, known as Tiles. There are three 'suits', characters, Circles and Bamboos. Plus the Honour Tiles, Red, Green & White Dragons and North, South, East & West Winds. If you think that this may interest you then please come along and join in. We are a mixed ability group – some of us have been playing for some time and others have only just started playing. We are happy to show people how to play and it is a very enjoyable way to spend an afternoon (especially in the winter!). There is a small charge to cover the cost of the hire of the Oak Room and the tea and biscuits.